September 21, 2010 Dan O. As always, Cher going for the younger guys. Cher’s an independent-minded widow who falls in love with a one-handed, misfit baker (Nicolas Cage), much to the chagrin of her betrothed (Danny Aiello). The film may have you thinking its just about Cher and her romantic escapades, but its also about her family, and the love they go through as well. 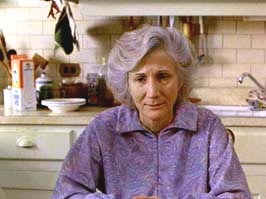 Probably the one thing that attracts people to Moonstruck is that its written so well. There are lines in this that just make you laugh, and at the same time just feel delighted cause it just so cute. The film may seem like its in bad taste, but none of it is. It stays nice and sweet to the point, and has you falling in love with these people, and the things that happen to them. But it’s not just the comedy that works so well, its the fact that anybody can relate to this film. Anybody that has ever felt like they have been in love, or at least rediscovered it, can feel so close to home with this. Also, anybody that has a crazy family, or even a family, can relate to how true, and genuine this really is, because every family’s silly, not everybody’s just crystal, clear perfect. Looking at it now, about 23 years later, the film’s plot is a lot more serious then they let it be. Like if my brother was with my fiancee, while I was gone, I think that I would probably beat the hell out of my brother. They don’t really take that seriously, nor do they take the other sub-plots, such as cheating, seriously either. But yet, I guess they do a good job at being funny, and cute, that I guess it really doesn’t matter, but still it just seems dumb to have something like that, be played off as a joke. Cher is very good in the lead role, actually having you believe her, as somebody else other than Cher, which would be really hard to do. On screen with her most of the movie, is Nic Cage, who is good in a very young role, as he plays insane dude pretty well, and not over-playing it to where he just becomes a joke. They both create a chemistry that is believable, even though they are separated by about 15 years of age. 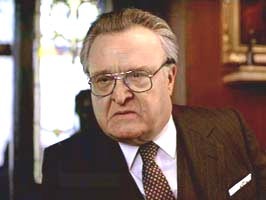 But the real shining stars in this film are Olympia Dukakis, and Vincent Gardenia, who play a married couple for more than 50 years. They are both hilarious in each of their roles, and although by the end they may still have their problems, they still love each other. 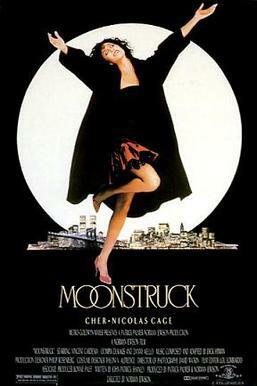 Consensus: Moonstruck may be too cute for some serious issues, but it provides plenty of great, and hilarious comedy, with even better performances from the cast, and the timely feel of having a crazy family. Love this! Loved every single minute of it! Glad you liked Cher. But would you have preferrred her over Glenn Close for Best Lead Actress? I don’t know really, but she does do a good job of being comedic, while at the same time believable. John Patrick Shanley is basically a playwright, but he’s written a few films. He wrote and directed Joe and the Volcano and, most recently, Doubt, which he won a Tony for + 5 Oscar nominations. The guy has always had incredible luck winning stuff, including Cher’s Oscar. Nobody ever thought that I guess. That’s the beauty of botox. Good review, I have alaways thought that Cher was a capable actress and she proves it in this as well as in her performance in Silkwood.